First, a caveat: this post is designed for photographers who are trying to succeed in the business of photography, not for general photography enthusiasts. It’s opportunistic in the sense that it’s designed to get maximum business impact (attention, clients, sales) from the minimum amount of effort. In my work with hundreds of photographers, I’ve found that doing just a few things can dramatically change search rankings (and thus business performance) for most photographers. Second, before I dive in, I want to underscore what’s NOT included on this list. You won’t see any mention of blogging, participation in online communities, SEO for images, Twitter / Facebook / Google+ / other social media signals, or other popular components of most SEO articles. These are important parts of a comprehensive SEO strategy. They will help your SEO. And if your goals is to maximize TOTAL TRAFFIC, you can’t do it without doing these things. But for most photographers, the goal is not maximum traffic. It’s getting the small amount of exactly the right traffic that really counts and can transform your business. 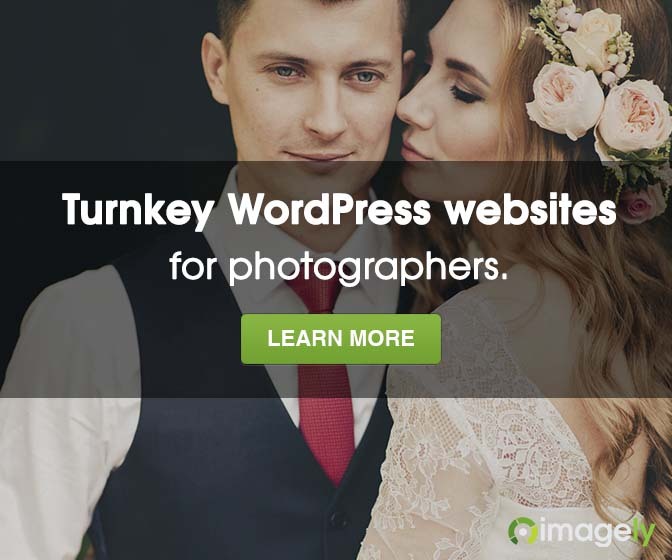 A website that ranks for the just the right keywords and nothing else may only get 1000 visitors per month, but every one of those visitors is looking for EXACTLY what the photographer has to offer. Another website may have a popular blog that gets 10,000 visitors per month, but none of whom are ideal prospective clients. If you are trying to make a living from your photography, then the first scenario is immensely more valuable to you. Third, before I dive in, if you are serious about your SEO, I want to encourage you to look at the Photographers SEO Book and Community. I’ve tried to summarize everything I know in the Photographers SEO Book and designed the community to provide maximum SEO benefit for remarkably little cost. It may sound boring, but choosing the right keywords is critical. In fact, if you already have an established site, just choosing the right keywords and optimizing around them may be enough to get your site on page one for the right phrases. Most photographers don’t ever really think about keywords at all. Usually by default, these websites are optimized for the name of the business. The title of their website homepage is their business name (like “John Smith Photography”). There’s no text on their home page. If you search for their business name, they’ll show up on page one. But not for anything else. Those who do think about keywords make a range of mistakes: they choose too many keywords and try to rank for a dozen phrases at once; they choose just one keyword that’s not likely to bring enough traffic to justify their SEO investments; they choose keywords that are too general (like “wedding photography” or “UK photographer”) that are very difficult to rank for and don’t bring the right traffic anyways. So how do you choose the best keywords? First, the main strategy is to get inside the head of your prospective clients – those most likely to buy your services or images – and ask “what exact keyword phrases are they likely to search for when they’re looking to buy?” You might even pretend to be a prospective client who doesn’t know anything about your industry. Go to Google.com and pretend you’re looking for a photographer or images. What’s the first thing you searched for? Third, choose 3-6 precise keyword phrases that are the most valuable to you. If you are a nature photographer who lives in Colorado and specializes in landscapes, you might want to rank for Colorado nature photographer, Colorado landscape photography, Colorado landscape photos, or Rocky Mountain photos. If you are an Atlanta wedding and engagement photographer, your phrases might include Altanta wedding photographer, Altanta engagement photography, Atlanta bridal photography, and similar terms. Once you have a shortlist of keywords, you want to makes sure that there is one page on your website that is dedicated to EACH of your keywords. Your homepage is probably the most important page on your website. Optimize your home page around your single most important phrase. Don’t try to optimize it for all your phases. Just focus on one phrase, and then optimize everything on your homepage around that one phrase. Then create priority “landing pages” for your other important keyword phrases. Optimize each of those priority pages around just one of your key phrases. Use the keyword phrase in at least one subtitle on the page. Use the phrase several times in the regular page text, and use similar variations of the phrase a few time as well. Make one instance of the keyword bold. No need to overuse the phrase – just use it a few times. Link to the page from elsewhere on your website using the same keyword phrase as the link anchor text. That’s it. If you do that, you’ll end with your having your home page and 2-5 other pages on your website optimized around your most important keyword phrases. No matter how well you optimize your website, you’ll never rank without links. Links are the votes of the internet – the more you have, and the higher the quality of those links, the better you’ll rank. You probably know this. You probably also know that getting other website owners to link to you is hard. I tend to divide links into two categories: easy links and hard links. Easy links are easy to get, but they’re worth less. Hard links are harder to get, but they’re very valuable. If you are new to link building, you can start by building easy links. Here are some ideas for easy links. If your site is already more established, or you’ve already gotten some easy links, it’s time to raise your sites to harder, more valuable links. By far the easiest way I know to get high quality links from other site is by submitting guests posts. You can link back to your site within the content of the post, or within a one sentence byline at the bottom. When you publish a guest post on another blog, it just like having that blog owner write a blog post about you and link back to your website – and that’s valuable! By the way, when submitting guest posts, take advantage of the fact that you’re a photographer. All blog owners want to have great images on their site. Submit a blog post based around your images. Wherever possible, try to use your keyword phrases when you link back to your site. For example, in any “easy” links where you can control the link, use your main keyword phrase to link back to your homepage rather than your business name. You should also be able to use your keyword in your byline in any guest posts – another reason these are valuable. Wherever possible, try to get links directly to your other important priority pages, not just your home page. Again, when linking to those pages, use keywords in the anchor text where possible. I mentioned the Photographers SEO Community above. I’ve designed this to make certain easy links and even numerous hard links much more accessible to our photographer members. So if you want a direct pathway to links, that’s a great option. That’s it: choose the right keywords, optimize you home page and priority landing pages around each important keyword, and build links to those pages. It sounds simple, but if you do that well, you’ll be ahead of 90% of other photographers. Erick Danzer is Founder & CEO of Photocrati Media, which makes WordPress themes for Photographers. He also provides SEO for photographers though the Photographers SEO Community. good tips, guess this is an easy link?! Most helpful article – thank you! 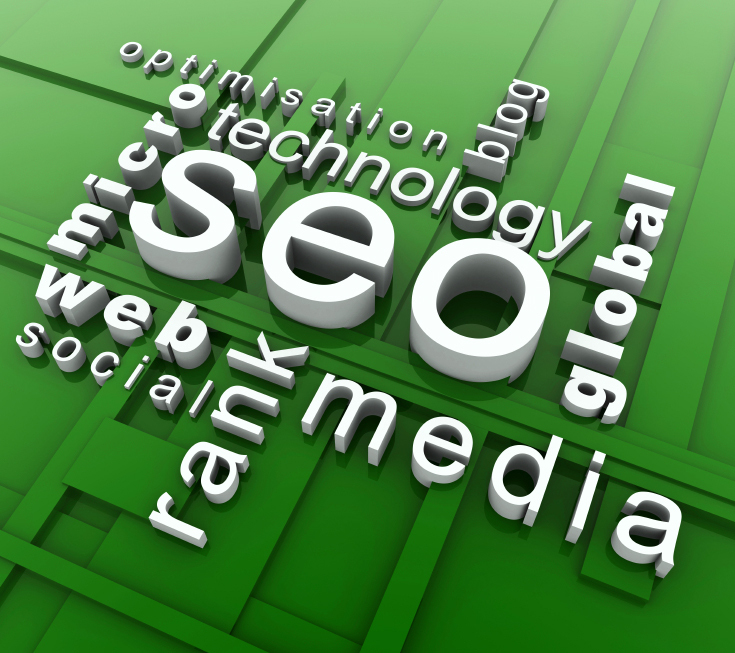 SEO isn’t so simple but this is a good starting point! Very useful article – especially about link building – off to build some (easy!) links now! Great tips and I am going to follow those up. Just to clarify one point, I didn’t really get the part about optimising a page. You mentioned “create priority “landing pages” for your other important keyword phrases”, so as a start do we start with one phrase to optimise our homepage, and gradually extend to using different phrases to optimise different pages in our website? Yes, start with the most important page that you want to rank on. That is likely your homepage and any landing pages you choose to create. Then expand with other important keywords for other pages. Great stuff! I just came across the photographer-seo page today, what a great resource! Thanks to all involved! Brill article and jargon free too. Thank you. Off to optimise the site for commercial an equine photography in England. I have managed to do well with SEO on my other sites with text, however doing SEO on a photography site with very limited text is very difficult! Thank you so much for this! Very helpful info. Thanks a lot for these useful tips! Any suggestions on relevant photography directories? Most of those I keep finding seem pointless. I recommend heading over to the Photographer’s SEO Community where you can learn more about that topic. Thanks for the EXCELLENT information! My focus is on Colorado landscape, nature prints for sale. This information is very helpful to me!. Thank you for the great post great tips for building on SEO I will be implementing this although back links fill me with dread! Thanks for sharing these SEO tips for photography website. This will help me to get links from right sites.